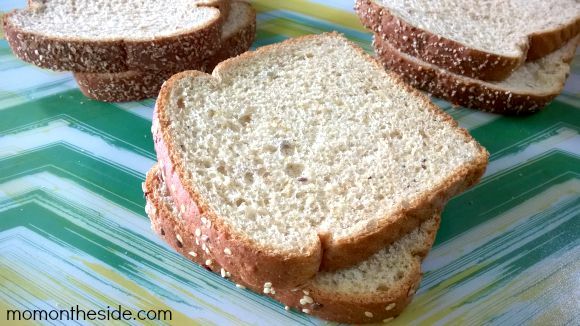 The thing I love most about these sandwiches for school lunch, are the ingredient are things most of us have lying around! First up is a BLTC! Bacon, Lettuce, Tomato, and Chicken on Nature’s Harvest Honey Wheatberry. 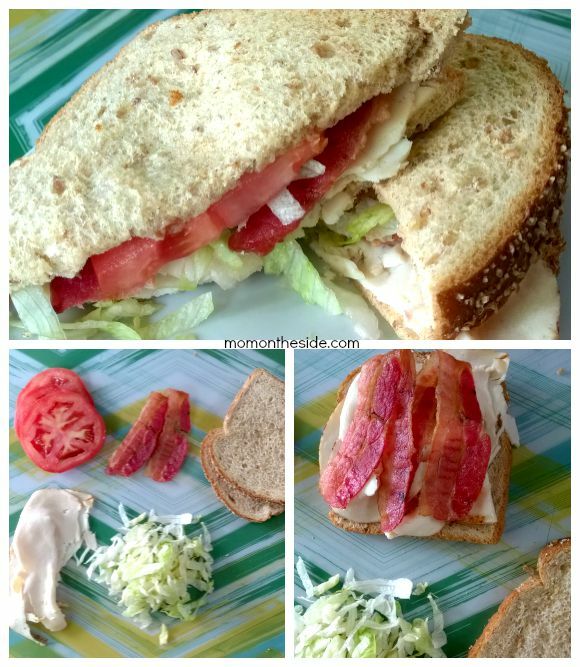 This is a tasty twist on a BLT with the addition of deli meat. Next we made a Turkey, Bacon, and Apple Sandwich on Nature’s Harvest 18 Grains & Seeds. If you are making bacon for breakfast, toss any leftovers on the sandwiches you are packing in lunches. 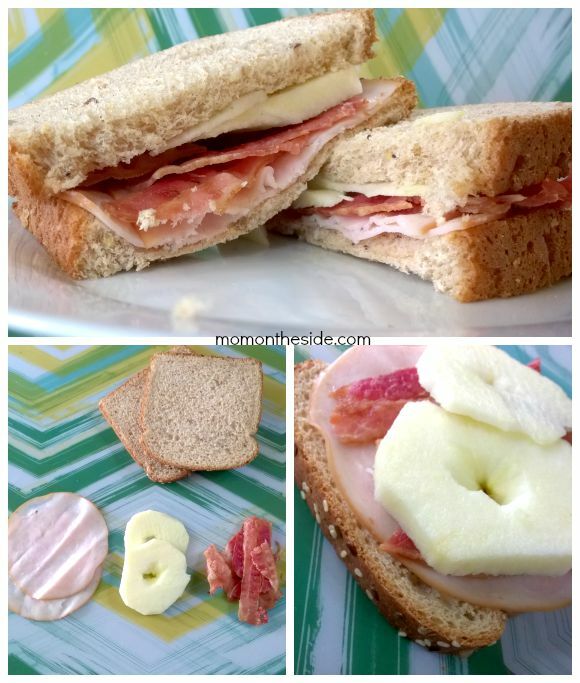 Not that there are ever any bacon leftovers….. 😉 A little tip, I removed the apple core and sliced it in spirals so it would stay on the sandwich better. 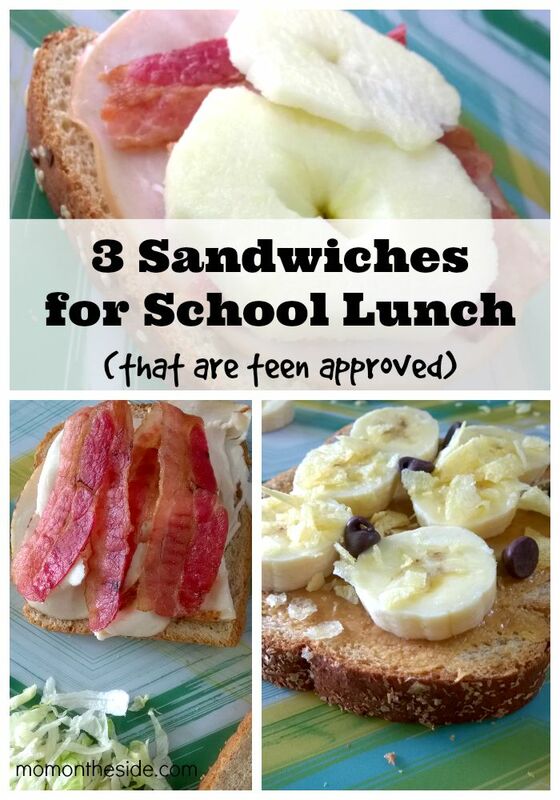 Our final sandwich for school lunch is a twist on a favorite. 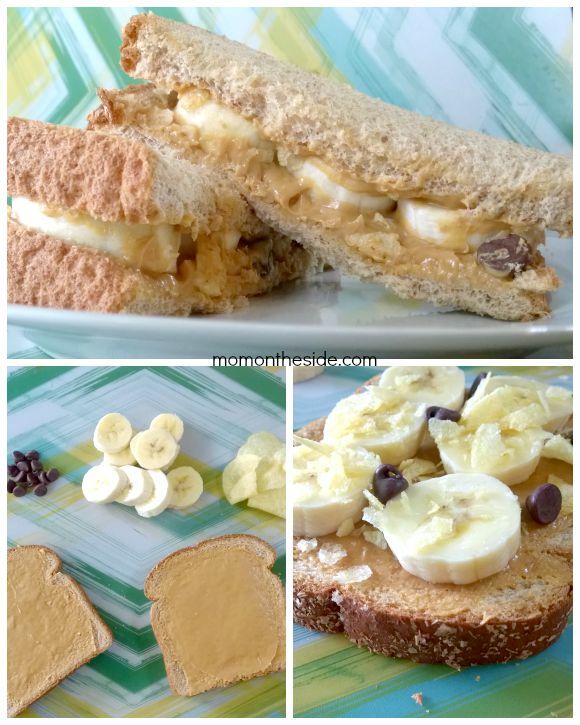 Peanut Butter, Banana, Chocolate Chips, and Potato Chips on Nature’s Harvest 100% Stoneground Whole Wheat Bread. If you have mini chocolate chips those work best. The crushed potato chips give it just the right amount of saltiness too. This is a fun sandwich to change things up now and then. To save on those sandwiches, Nature’s Harvest Bread is on Rollback at Walmart for $1.97 a loaf! There are several varieties available and so far, I like the three we picked up. My daughter’s favorite is Nature’s Harvest Honey Wheatberry and hubby’s favorite is Nature’s Harvest 18 Grains & Seeds. Me? I like them all because they are light, unlike some of the other thick and dry wheat breads I’ve tried! What are your go to sandwiches for school lunch?